More than three out of four PR chiefs featured in PRWeek's Global Power Book (GPB) believe print newspapers do have a future. Despite the huge changes in online media and new platforms that have hastened the decline of newspaper sales, 254 GPB members predicted that print news would still survive in the years ahead, against 74 who believed the format had no future. Some said the printed form better suited long-form articles in particular. Greenpeace head of comms James Turner said: "Investigative journalism has a future in print. Mud-slinging and celebrity news will live online." Sky group corporate affairs director Catherine Hicks said people wanted to consume news "via a mix of platforms" and "it’s about choice and mix". Others argued the format would adapt to survive. ExxonMobil VP public and government affairs Suzanne McCarron said: "Communications media rarely goes extinct. Think about radio. It evolved to respond to television by focusing on local content and then got a new stature with the rise of the political talk format. 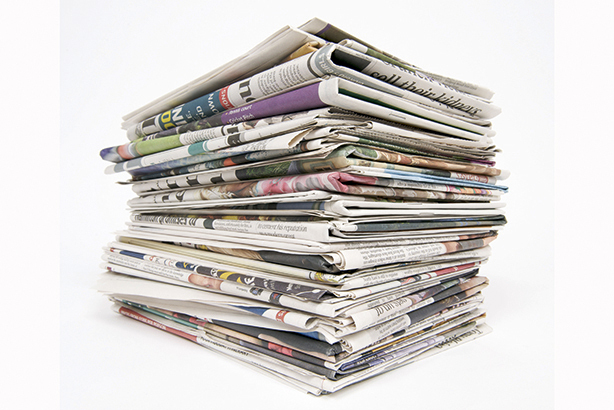 Print is likely always to have a role – especially because of the hunger for more news and opinion." However, many thought the newspaper landscape would look very different in the future. Didier Lagae, CEO of Marco de Comunicacion, said print survivors would be "only a few publications that add real value with unique news pieces and investigative journalism". Others pointed to regional differences. "In Europe they do [have a future]. It's getting very difficult in the US," said Allison PR CEO Scott Allison. Horacio Loyo Gris, partner and MD of Dextera Comunicacion, explained: "Printed newspapers will still exist in the coming years in countries whose inhabitants have limited access to internet such as Mexico and others from [Latin America]." But for other GPB members, the clock is simply ticking as the new generation of readers shun non-digital media. Ogilvy PR global chairman Christopher Graves believes print newspapers will cease to exist "after the boomers generation dies". And Samantha Bartel, managing partner, Middle East, at Instinctif Partners, gives this bleak assessment on the future of print newspapers: "They are dinosaurs, it’s a matter of time."